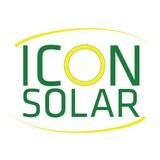 Icon Solar is one of the largest providers of solar power in the Midwest. As proven experts in renewable energy, we deliver innovative, practical solutions for residential and commercial customers since 2009. To ensure that all homeowners and businesses can reap the benefits of solar technology, we offer flexible financing alternatives. With years of experience and hundreds of installations, we are the qualified, trusted and local source for residential solar panel installation. We continue to exceed expectations by providing customer-centric financial benefits, full-circle customer service and turnkey solar solutions. We focus on economic feasibility, helping the environment, establishing energy independence, and educating the public on how to take part in creating a healthier, secure future. We strive to respond immediately to our customers’ needs and to provide the highest caliber of service. Using advanced technology and leveraging our decades of training, we demonstrate efficiency and excellence on every job. We pledge to grow our business by treating each customer with complete respect and integrity. Structures which generate their own power, heating, cooling, fresh water and food. Let’s say you want a solar electric system for your home. An off-grid system basically consists of solar panels and battery banks. These battery banks store the sun’s energy so you can use electricity at night or on a cloudy day. This system is designed to keep household electricity running for about two or three cloudy days; longer cloudy periods require a backup generator. To install an off-grid system, you’ll want to hire a certified Ohio solar energy contractor. Along with off-grid solar, wind and hybrid energy systems that include batteries and backup generators, there are also grid-tied solar and wind operations. Grid-tied systems are attached to your Wright-Patterson AFB, OH utility company so if you produce more energy than you use, your meter goes down and you build up energy credits. Can you give me any information on Ohio solar rebate programs? Find solar energy contractors in Wright-Patterson AFB, OH on Houzz. Search the Professionals section for Wright-Patterson AFB, OH solar energy contractors or browse Wright-Patterson AFB, OH photos of completed installations and look for the solar energy contractor’s contact information.